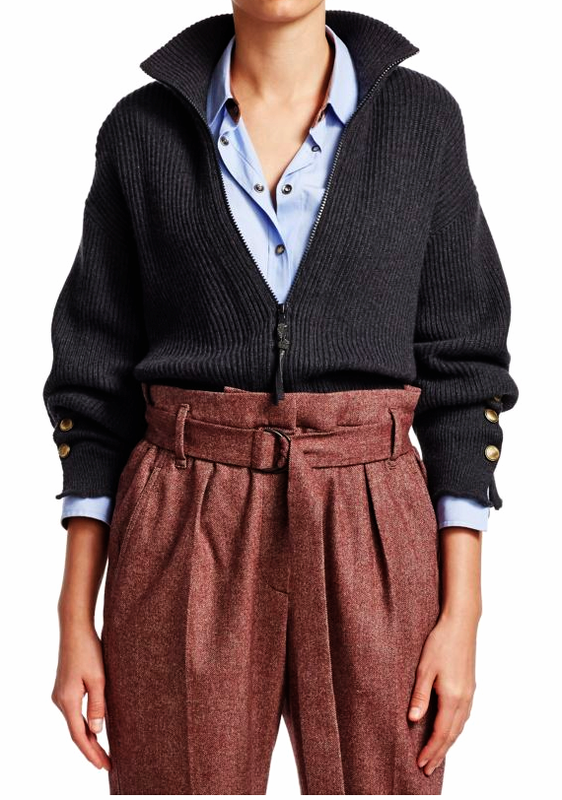 MUST HAVE: Brunello Cucinelli delivered a luxurious wardrobe focused on knitwear with a folk touch, tailoring and elevated urban staples. Brunello Cucinelli delivered a luxurious wardrobe focused on knitwear with a folk touch, tailoring and elevated urban staples. 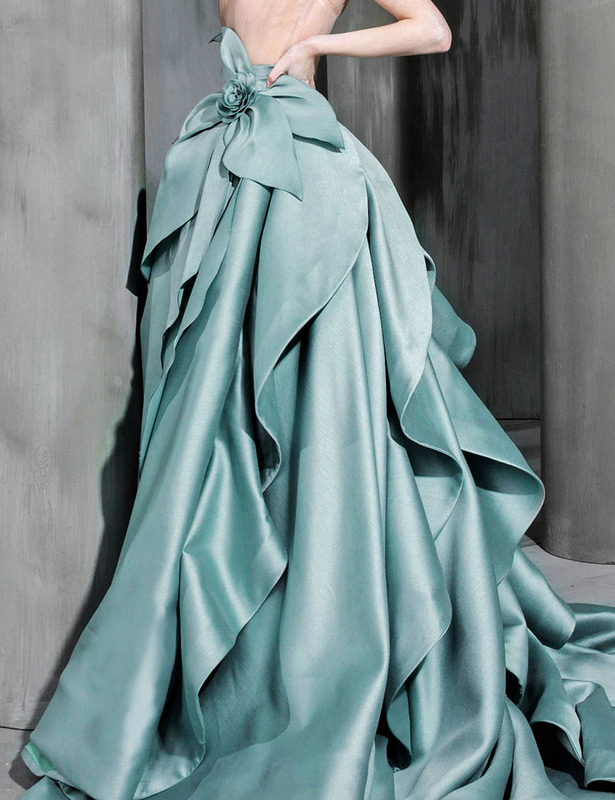 Season after season, Brunello Cucinelli continues to shape a clearer and more specific identity for his women’s line. 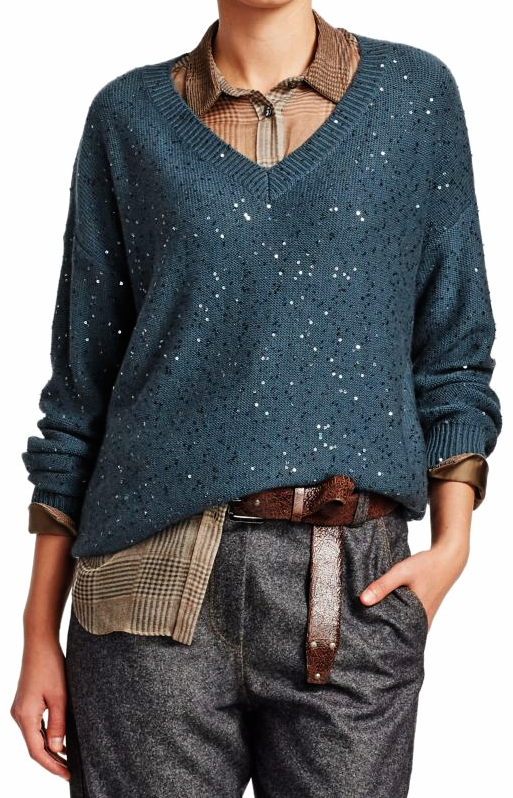 Finished with a chunky knit cashmere and silk blend, this cropped cardigan is woven through with sequins for a glimmering finish. 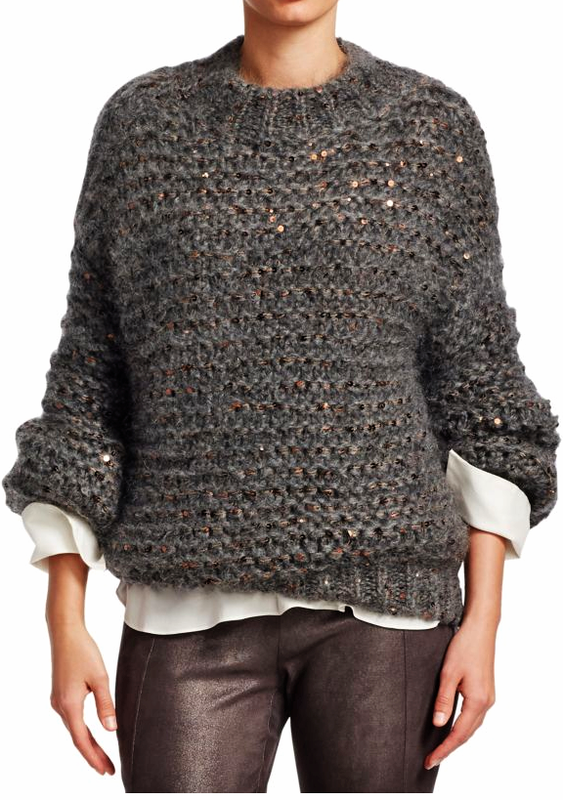 This luscious cashmere cardigan is crafted in a rib-knit contemporary. 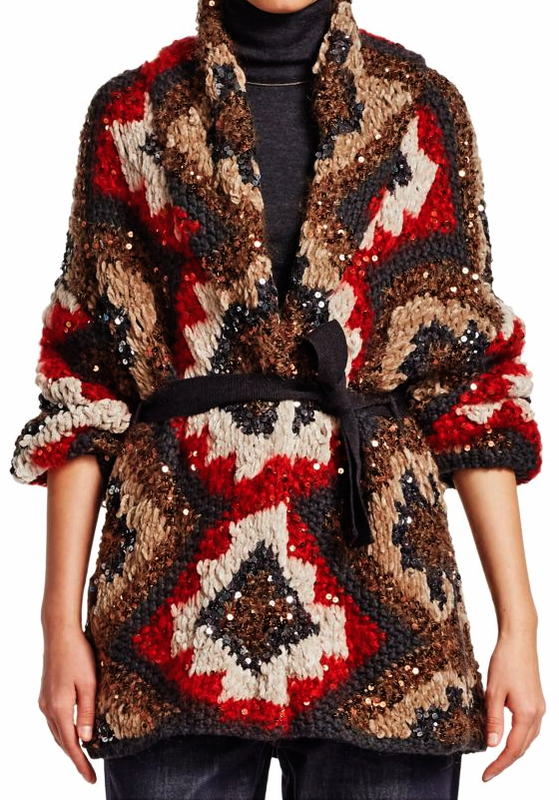 This sweeping cardigan features bohemian patterns and sequins. 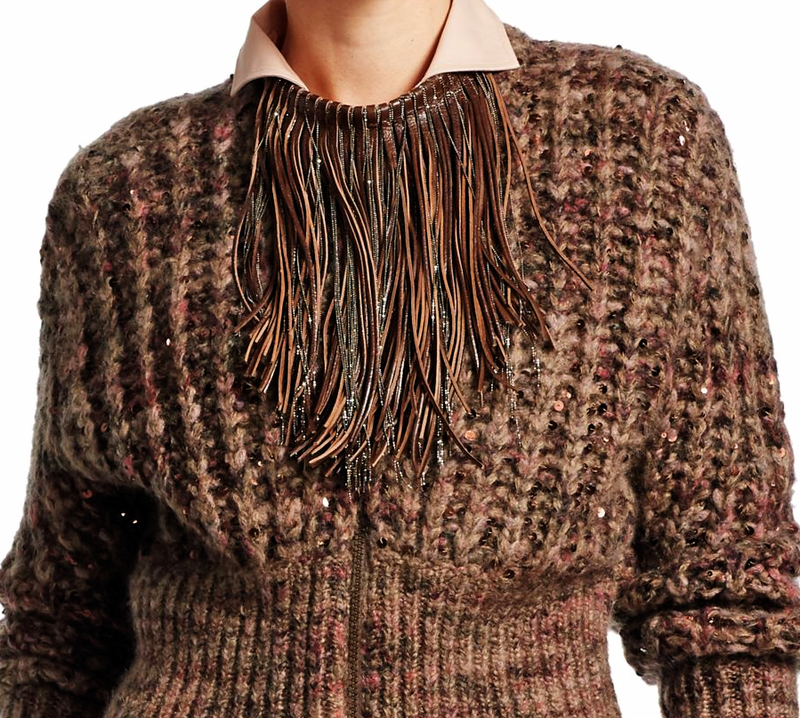 Stunning in visuals and luscious in feel, this cardigan is finished with a self-tie elegance. 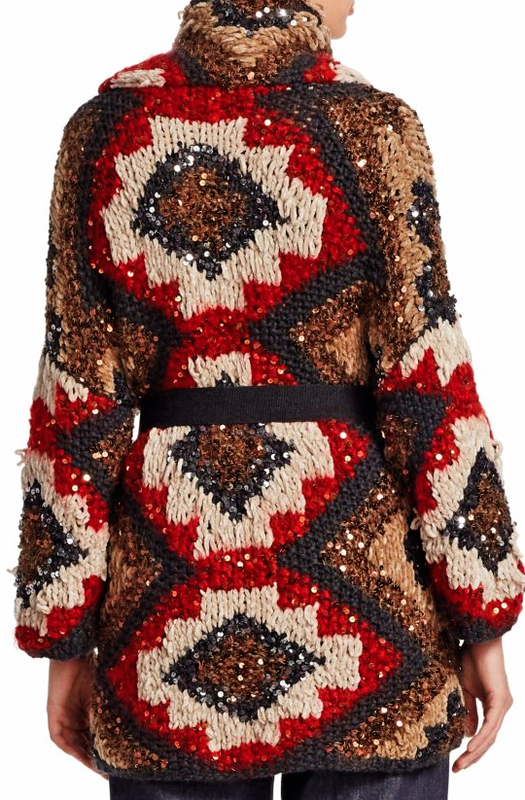 This sequin-covered knit is crafted from a luxe blend of cashmere and silk. 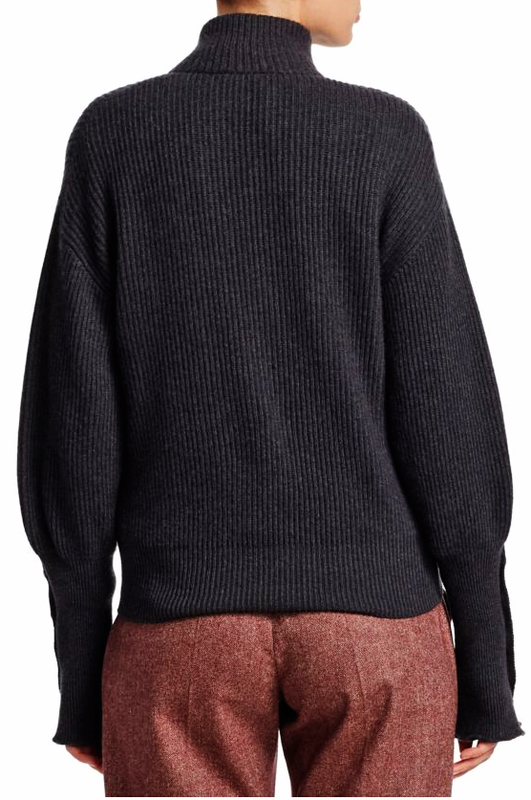 Its oversize, boyfriend fit is perfect for tucking and layering.